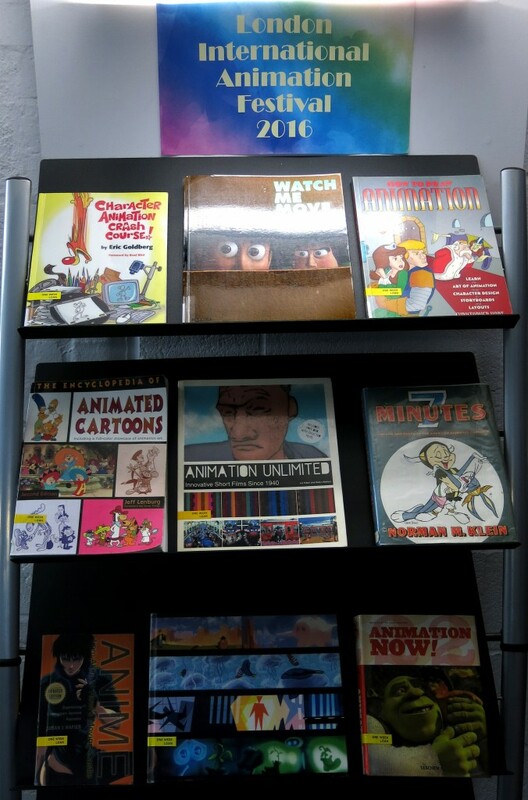 Inspiring all you animators out there, our current display in Aldgate library is to coincide with the London Animation Festival. This includes an event at our neighbours the Whitechapel Gallery, Edge of Frame: Journeys into Experimental Animation on December 10th. Don’t forget as well as books on animation we subscribe to journals. If you can’t see any in the Cass journals area on the third floor, they may only be available online, so make sure you check the library catalogue. This entry was posted in event, Exhibitions, Library books, Library Collections, Library e-resources, Moving Images, Uncategorized and tagged "Art Library", "moving images", animation, e-journals, e-resources, exhibitions, illustration, The Cass. Bookmark the permalink.